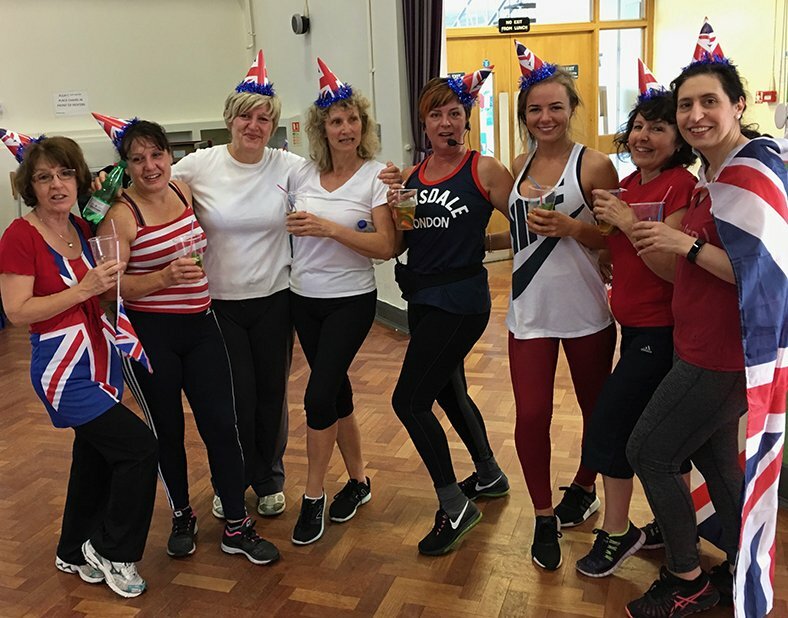 20 members turned up on Saturday morning for a right royal Fitsteps workout. A special wedding playlist included ‘Dear Future Husband’ and ‘It’s Harry I’m going to Marry’. We had a great class and finished with a Pimm’s to toast the happy couple. A photographer from the Ilford Recorder was in attendance and we raised £70.00 on the day. Thanks to everyone who supported this fundraising event for the Rose Walton Centre in South Woodford for Children with Cerebral Palsy.